In your line of work, you have to be versatile on a daily basis. With the unpredictable tasks and demands asked of you, you need to be ready for anything. Improve your readiness with these Danner Men’s 43003 Black Striker Torrent 8 Inch Work Boots. They’re buil ... (see full details) (see specifications) #DNN43003. In your line of work, you have to be versatile on a daily basis. With the unpredictable tasks and demands asked of you, you need to be ready for anything. Improve your readiness with these Danner Men’s 43003 Black Striker Torrent 8 Inch Work Boots. They’re built for speed, as they feature the TFX-8 platform system. This is Danner’s lightest and most flexible platform, weighing in at just 56 ounces. This exceptional footwear features durable full-grain leather and lightweight 1000 Denier nylon uppers. The rugged leather can be easily polished to make it look its best. You’ll have a speed lace fastening system that gives you a secure fit, and there’s even a lace garage on each of the men’s boots. The custom Vibram outsole design allows for quick movements and pivoting in all directions. The Torrent Vibram Striker outsoles of these shoes are developed with a 360-degree pentagonal pivot point lug pattern for excellent grip, no matter which direction you decide to go next. The flex notch design is in key pivot areas, with a tough outer lug pattern that sheds water and provides you with maximum surface contact. 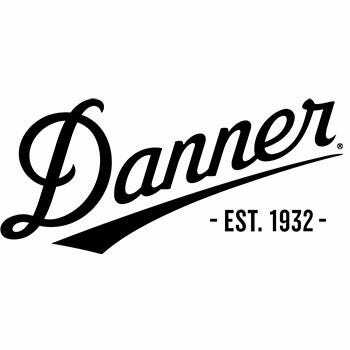 The new Danner TFX-8 platform is the most versatile TFX construction, and it features both the lateral and medial heel pivot zones. Nylon shanks add even more support for your arches. These black boots are designed for speed and constructed for stability and comfort. Along with the Danner TFX-8, this Striker footwear have 100% waterproof and breathable GORE-TEX lining on the soft interiors. The removable footbeds have open cell construction for air circulation. The cushioning polyurethane footbeds, along with the polyurethane midsoles, provide you with superior comfort and added durability. We can’t promise you’ll be able to go zero to sixty in 10 seconds (or ever, if you’re not in a vehicle), but these Danner Men’s 43003 Black Striker Torrent 8 Inch Waterproof Boots are a lightweight pair of shoes that’ll support you every day. When your work days make you face uncertainty, this footwear will be a solid foundation you can rely on daily. Order yours from Working Person’s Store today. I Purchased these boots for my husband because he wanted a pair of engineer boots like he had about 20 years ago and these were the closest I could find. He says they are comfortable and they fit well. I even purchased a second pair for him so he has a pair for work and a pair he keeps for good. Danner Boots: Men's 43003 Black Striker Torrent 8" Waterproof Boots is being added to your cart.